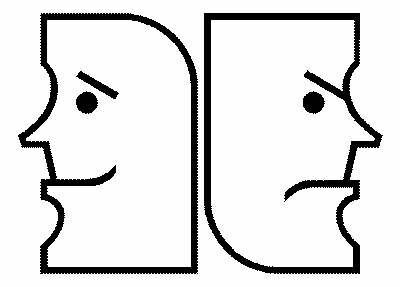 Why do people take psychiatric medication if it does not correct a chemical imbalance? This post is prompted by a comment on a previous entry. The question was whether psychotropic drugs are unnecessary, as people continue to take them even though they don't work by correcting a chemical imbalance. Believing the chemical imbalance theory provides a good rationale for taking medication (see eg. previous post and eletter). But I guess we will continue to take medication even without really knowing how it works. It is often started when we are feeling desperate, so we are likely to believe whatever's proposed will help. And of course medication might have non-specific effects. Remember also that discontinuation problems are very common (eg. see my book chapter about antidepressant discontinuation problems.) So I'm not recommending just stopping it. However, I do think it's important to have a debate about the rationale for taking medication (eg. see previous post). 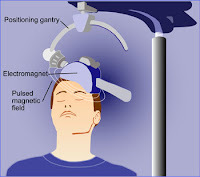 The comment I mentioned in the last post also asked how repetitive transcranial magnetic stimulation (rTMS) works and whether it is similar to ECT. The comment was made following my mention of rTMS in a previous blog entry in response to the NIMH medical director's blog. The NIMH website itself has a page on brain stimulation therapies, and both ECT and rTMS are in the list. I've never seen rTMS (although I have seen ECT). 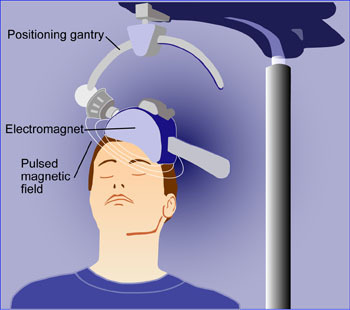 My understanding is that an electromagnet is placed over the skull and the patient usually wears earplugs to diminish the noise from the discharging coil. Rhythmic pulses of electromagnetism are delivered usually in daily sessions lasting about 30 minutes for 2-4 weeks and possibly longer. The patient may experience involuntary spasms of scalp muscles. NICE says there is uncertainty about the procedure's clinical efficacy for depression (see guidance). Despite this, it is available in Canada, for example, and the costs at a MindCare Centre are CAN$250 per treatment, amounting to CAN$5000 to CAN$7500 for a course of treatment. So it's not cheap and I'm not sure if insurance pay out easily on a case-by-case basis. Even despite the cost, in many ways development of the procedure has been slow but of course there's no drug company behind it. And I'm not sure about its acceptablity. Maybe it makes psychiatry's quackery too transparent. Psychiatry has always been wishful in its thinking about physical treatments (eg. see previous post about deep brain stimulation). I've always said the essential message is that psychiatry can be practiced without taking the step of faith of believing that mental illness is due to brain pathology, such as a chemical imbalance in the brain. This is commonly what patients are told, but the evidence is against it. Don't misunderstand what I'm saying. Of course mental illness must show through the brain - but not necessarily in the brain. There are implications for both assessment and treatment in practice. Diagnosis is not about finding an entity of some kind, but about providing understanding. We also need to be more sceptical about treatments, such as medication. Any other attempts to summarise critical psychiatry in a paragraph? In his NIMH Director's blog, Thomas Insel, who I have mentioned several times before (eg. see previous post), has picked up on the same Lancet article as I did in a previous blog entry. Although the number of graduating US doctors choosing psychiatry seems to be down a bit over recent years, Insel is impressed that the number with PhDs has doubled in the last decade. I'm not sure whether the number of those with PhDs has also increased in other specialities. Insel defines psychiatry as clinical neuroscience. A recent NIMH training session for top second year psychiatry residents (many with PhDs) treated them to sessions focusing on "neuromodulation— using cognitive training and repetitive transcranial magnetic stimulation (rTMS) — to alter symptoms of depression and anxiety by modulating specific brain circuits". I can't see that psychiatry is helped by this narrowing of its focus. So-called clinical neuroscience has become too academically dominant, sustained by biomedical research funding. Actually the brightest young doctors need to engage more with the nature of psychiatry. I will be writing further about promoting critical psychiatry in the academy, hopefully leading to a conference sometime. 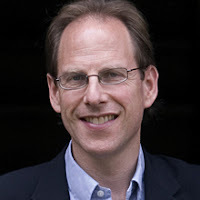 Simon Baron-Cohen in an article in The Times predicts that an underdeveloped empathy circuit (whatever that is!?) would be found in an MRI scan of Anders Breivik's brain. 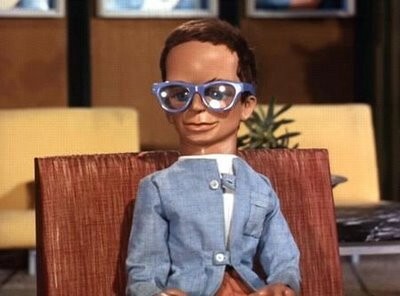 I guess Baron-Cohen's unlikely to be given the opportunity to confirm his theory. He admits that neuroscience is an insufficient explanation of Breivik's cruelty and that his "offensive ideological convictions may [my emphasis] be one extra ingredient in the deadly mix". This illustrates the problem of a biomedical understanding of mental illness. War (which is regarded as a sane action) is justified on the basis of "goodness not evil" in the same way as Breivik has justified his behaviour. 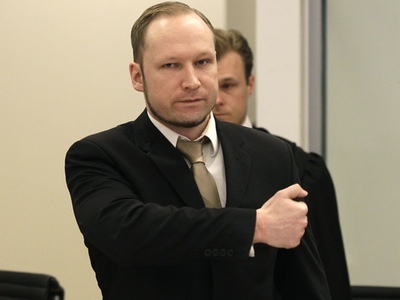 Breivik himself compared his sacrifice of 77 people to the dropping of the atom bomb on Japan, preventing more deaths in a civil war which he believes will arise out of multiculturalism. His reasons couldn't be any clearer - speculating about his brain abnormality is a distraction. 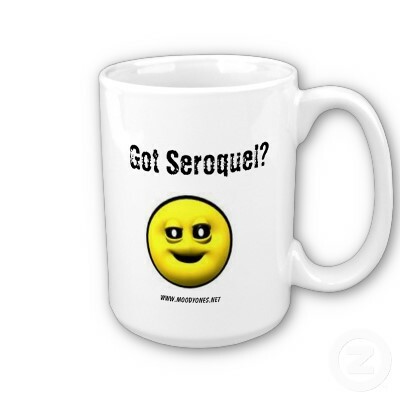 Nigel Hawkes helpfully summarises the patent position of Seroquel in BMJ news item. It's lost its patent for the XL (prolonged release) version in the UK, which has been marketed as an add-on in depression (see previous post). At least sense has prevailed about the issue of exclusivity of information about side effects, but maybe I'm keen to thwart AstraZeneca, like the FDA apparently. Editorial in The Lancet refers to press release from the American Psychiatric Association (APA) about recruitment to psychiatry, a subject which I have commented on in a previous post. It suggests that psychiatry needs to "realign itself as a key biomedical specialty at the heart of mental health", without explaining what it means by this. 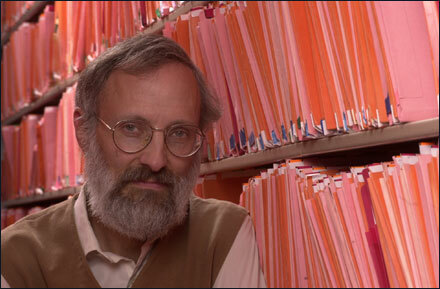 The APA medical director (who did not excel in his response to a hunger strike by survivors in 2003 - see my article) says that this is an exciting time for psychiatry because there have been "more scientific developments in the field than ever before". Of course there is plenty of scientific work going on in psychiatry but he might ignite more interest by questioning what it is really being achieved. Nor are APA promotional videos such as 'The faces of psychiatry' and 'Real psychiatry: Doctors in action' going to stimulate young doctors when they make such trite statements as mental illness is "a misnomer" as it is really brain disease and that mental illness is "no different from heart disease and hypertension" without any discussion of the issues.